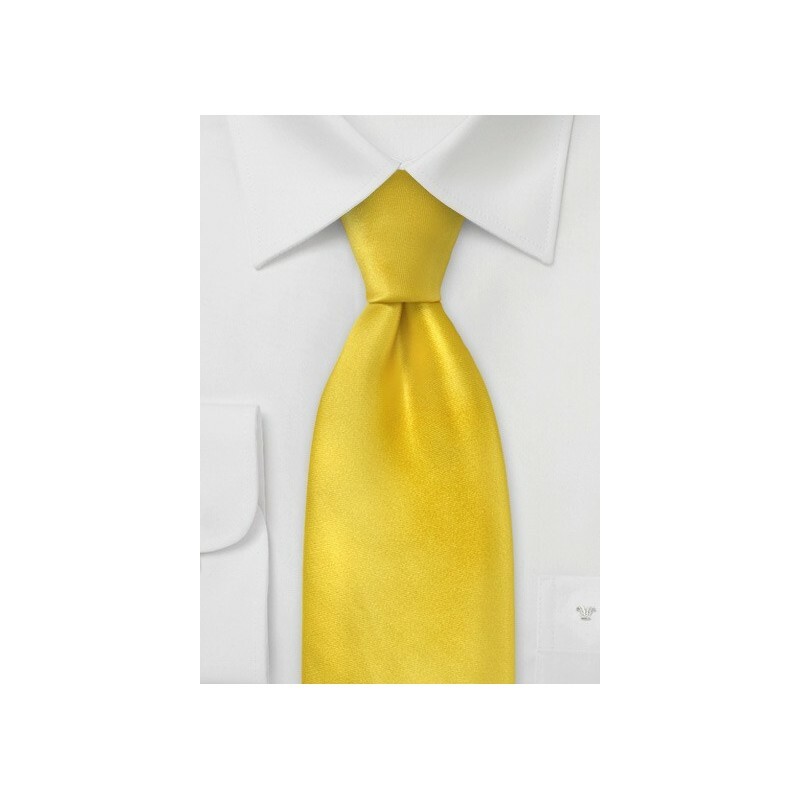 This canary yellow tie is a wonderful shade of yellow that is perfect for the summertime. This is a hand made neck tie designed by Parsley and is made from one hundred percent silk. This strong yellow is a perfect match with a navy blue suit paired with either a blue and white striped, or a crisp white dress shirt. This is the type of tie that can easily be worn at the office, or if you are going out to dinner with friends. 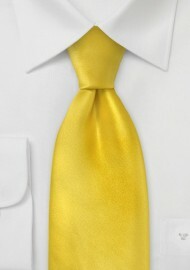 It is a more casual tie since the hue of the yellow is so friendly. It is best to keep everything else simple when wearing this tie.